Today's lesson depending on how far you have gotten with your previous assignments might feel a bit early. In fact I believe that in a settings different than an online course, you could spend 2 weeks to one month on previous assignment where you join groups of people who might be interested in your product. You would need some time to analyze those people and start establishing yourself as an expert or as a person passionate about this area. The problem is that if we wait 2 weeks or one month with the next assignment, we will be taken away by other tasks of our life from this course. In fact previous assignment should be your ongoing activity from now on. Reading newsletters of your competitors, and watching them how they are doing it, should be always on your mind. At least this is what I do. I learn from my competition all the time. I'm subscribed to lots of newsletters. Maybe over 50. It is impossible to read them all, but you can just skim their headlines and if you see something of interests then read it. Now I will explain your next step, which will be one of the last ones in an ongoing effort to determine what your business should be. If you have business running already and are wondering if this is the right business to be in, this step will allow on testing this. Since you are a member of various groups (Previous Assignment), you are following their discussions and you are seeing what the main topic of those discussions is. The topics which you will see might be something totally different than what you expected from a group with this kind of focus. You should identify what is the main need this group has. e.g. If you are into fishing, you will run into discussions about people asking what is the situation in certain areas of the country in regards to fishing. They will be talking about certain lakes or rivers. What if you would come up with the idea of putting together a site which would provide e.g. live weather information in specific fishing areas. You could also provide other important conditions like access to the area, accommodations and supply of fishing equipment in this specific area. Info about other attractions available in the area. You could send email reports to your members about conditions in the area they need. You could have private site for a fee to those who are interested in exchanging information (community site). Remember some anglers are nuts. They will pay any money you ask if you have something of value for them. Believe me that this is true. I'm fishing myself and know a few of my friends. This is just to demonstrate how you should be thinking to formulate your product. Let's assume that you have an idea already, based on the above concept. Now you need to approach your list and ask them a question. When I was writing this workshop I asked readers of Adland Digest, if they would be interested in paid version of this newsletter. I received about 200 responses with suggested prices and the reason why someone would be willing to pay for it. I was given tons of ideas. I did the same with my recent book "E Business Success Blueprint". Before I have decided to write it, I sent many emails where I asked for price and I have provided topics of my future product just to test if there is demand for it. I received over 300 emails, which gave me confidence that I'm on the right track. In my case I had already emails of my subscribers before I asked my questions, which might be not true in your case. Don't worry, I will show you how to build a list while you are testing your idea, before you even spent time on creating it. You will be asking people from groups (previous assignement) to which you have subscribed, to fill out a survey for you. There are many sites which will allow you on running free surveys, but I use this one and recommend it to you. You can run up to 100 surveys for free. Create an account for yourself at the above site and play with it to create your first survey. 1. 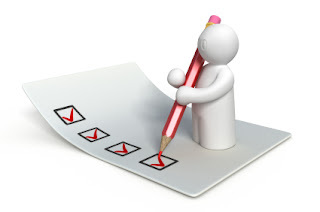 The first question on your survey should be name of the responded and possibly email address. You can tell them that you will give them free gift if they leave email address with you. We will talk later on how to come up with attractive gifts. If I would offer you product/service XYZ would you be interested in it. You can provide option e.g. from 1 to 5 where 1 is not interested to 5 very interested to get more clear info. How much would you be willing to pay for this product? When you created your survey, test it and obtain link for your respondents. Now go to each of your discussion groups and tell them this. Add your own style to it. This is just basic idea. I'm working currently on the product which based on my feeling would help at least 90% of subscribers to this list. I need you to go to my site and answer couple of quick questions. The survey won't take more than 2 minutes of your time and will help me determine if the product I'm thinking of is for you. Once I have the product ready, I will give you 50% of my main price, just to thank you for your feedback. I'm also offering free gift for you right now for helping me with my decision. Note that you are not sending any ad to the group, yet you are advertising your future product. You are asking for help, and most likely those who are actively participating in this group will give you their feedback. Freebie seekers will want your free gift. You will accomplish 5 things in this assignment. 1. Create a free survey site. No html needed. Anyone can do it. 4. Build your list of future customers. Believe me there is no other more effective way of obtaining your customers. The only other way is buying mailing lists from list brokers which can cost a lot of money and also be disastrous if you don't test it or get ripped off. This assignment I want you to repeat for each of your ideas and use it once you have established purpose of the group which you have joined and once you know their needs. Adlandpro.com Copyright 1998 - 2013 - All rights reserved . Are You Seeing These Decision Making Survey Triggers in Your Business? Cash Surveys.net - #1 Paid Surveys 2013 See Why! Your lessons are just priceless. It is so easy to get as the particular as the whole pics of what you wish to teach us. Man, this is one very comprenhensive subject which considers "mastery" in several sciencies. Your didactical methodology and instruments are chosen with perfection of a true expert. And the best of bests: you never use a bold words and no exaggerated promisses could be found. Thannk you is just a little to say. Do You want to Work Online?